There are two fully-equipped camp grounds in Lignano, one of them is located right by the sea with direct access to a private beach; the other one is located at the city gates. Three vacation villages with bungalows and mobile homes are equipped with the highest levels of comfort: air-conditioning, TV, swimming pool, washing machine, supermarket and a private beach. With all these wonderful features, guests can enjoy their vacation in the great outdoors without sacrificing comfort and relaxation. 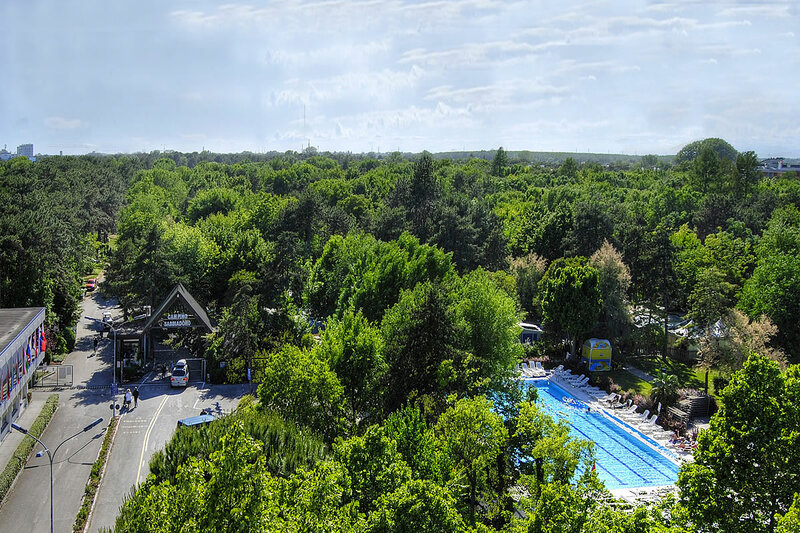 The camp ground in LIGNANO SABBIADORO is located in the middle of the green spaces and only a few steps away from the sea. Swimming pools, playgrounds, a restaurant with a bar and a self-service restaurant, a supermarket, a kiosk offering international newspapers, internet point, wireless internet access, animation, concerts, beach volleyball and waterball tournaments and a wonderful, fully-equipped beach allow you to relax and enjoy your vacation as much as possible. 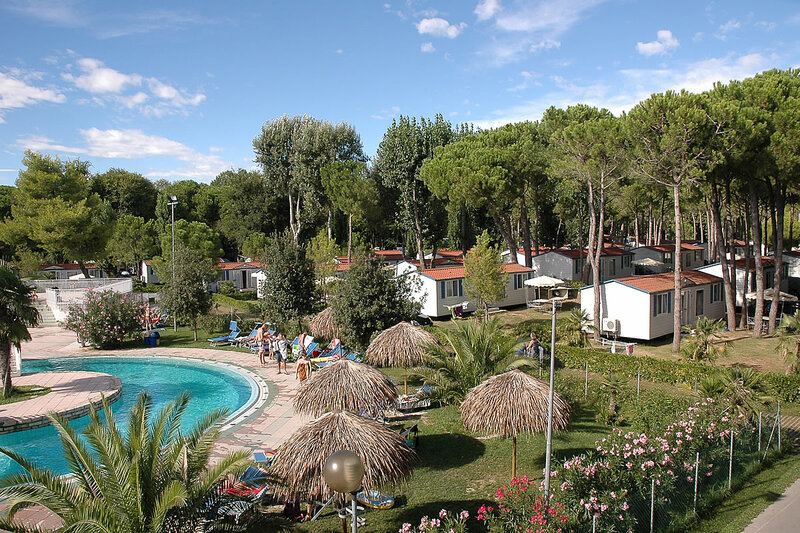 This four-star camping village offers a high level of comfort and is situated right by the coast in the wonderful pine tree forest LIGNANO RIVIERA. Fully equipped camp sites for your own RV as well as mobile homes measuring up to square meters, air-conditioning, a swimming pool with a play area for children, a bar with restaurant service, a self-service restaurant, a supermarket, a laundry room, a kiosk with a large assortment of international newspapers, an internet point, wireless internet, animation and events for children and adults including fashion shows are waiting for the guests who will surely be entertained.